Getting in shape is tough. Whether you join a gym or choose to exercise at home, it’s difficult to lose weight on your own. 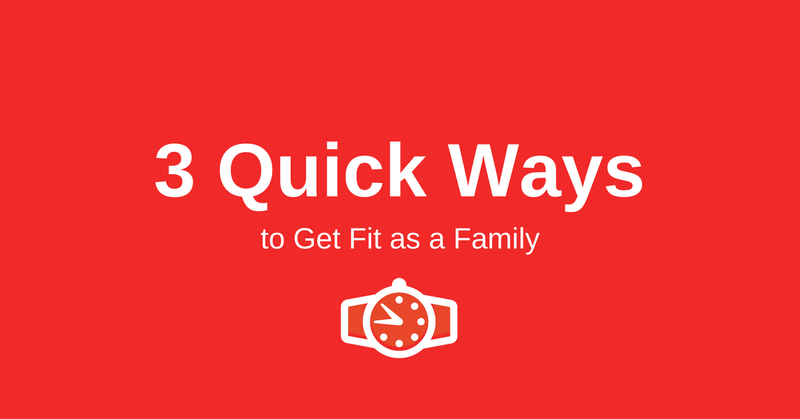 If you’ve been struggling to shed the pounds, it might be time to get your family involved. Keep in mind that getting fit as a family doesn’t mean you have to spend a lot of money on expensive workout equipment. In fact, it’s possible to get fit together without a hefty financial investment. Here’s how. When was the last time you and your kids danced together? If you’re like most parents, you might be too busy with homework, PTA meetings and after-school activities to just hang out and dance, but it’s time to start getting active with your kids. This weekend, turn on the radio or play some of your favorite songs and dance around the house with your kids. Consider setting a timer so you dance for at least half an hour. Don’t worry about looking silly! If you’re dancing for fitness, it’s okay to look a little ridiculous as long as you work up a sweat and have a good time with your family. Walking is one of the best ways to lose weight and build your endurance. You don’t need a treadmill to be able to walk. Instead, grab your family, load up the stroller and head out to explore your neighborhood. One of the best ways to enjoy walking with your family is to turn exercising into a game. Consider playing Pokemon Go and catching pokemon in your neighborhood. You could also download a pedometer app on your phone to track how far you walk. Another option would be to come up with a scavenger hunt for your kids. This doesn’t have to be anything fancy. Make a list of several things you can look for on your walk. For example, you could try to find a blue house, a big leaf, a small bug and a red car. If you have a gaming console, consider playing a dance or exercise game together at home. These games can be a lot of fun and will help you burn a lot of calories in a short amount of time. If you don’t want to invest in a dance game, you can rent them inexpensively through Redbox or your local game store. Make sure you drink plenty of water while playing dancing video games, as it’s easy to become dehydrated when you’re working out. No matter how you and your family decide to get fit, remember the important thing is spending time together in healthy ways. While working out together might be tough at first, you’ll soon find that you’re not only growing together as a family, but you’re growing healthier, as well.